Wreckage from the USS Lexington was discovered on March 4, 2018 by the expedition crew of Paul G. Allen’s Research Vessel (R/V) Petrel. The aircraft carrier, “Lady Lex” was found more than 3,000 meters below the surface, resting on the floor of the Coral Sea more than 500 miles off the eastern coast of Australia. 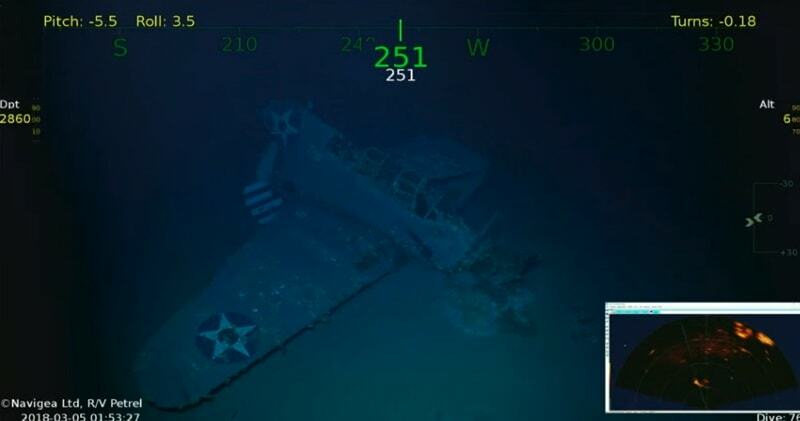 Lying on the floor of the Coral Sea some 500 miles off the eastern coast of Australia, the wreckage from the USS Lexington, a U.S. aircraft carrier used in WWII, appears frozen in time, covered in the detritus of the sea. 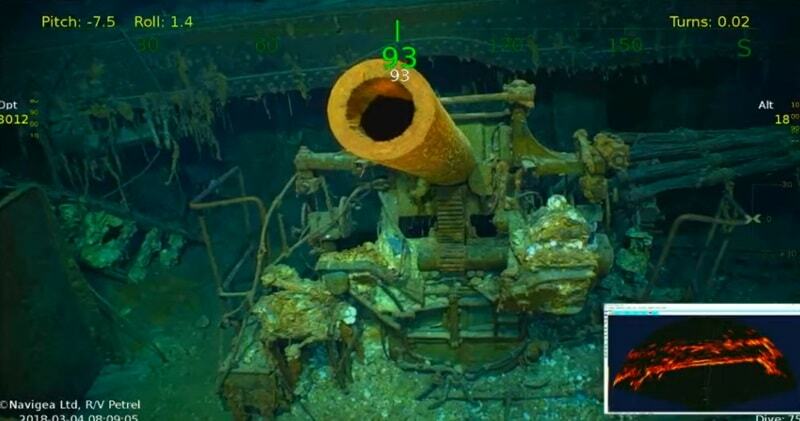 The wreck of an American aircraft carrier sunk during World War II and which President Donald Trump paid tribute to last year has been discovered in deep ocean off Australia’s coast. The carrier was crippled in May 1942 during the Battle of the Coral Sea after being hit with bombs and torpedoes, with 216 crew killed. It was sent to the bottom after 2735 crew were evacuated by another American warship, the USS Phelps, to prevent its possible capture by Japan.